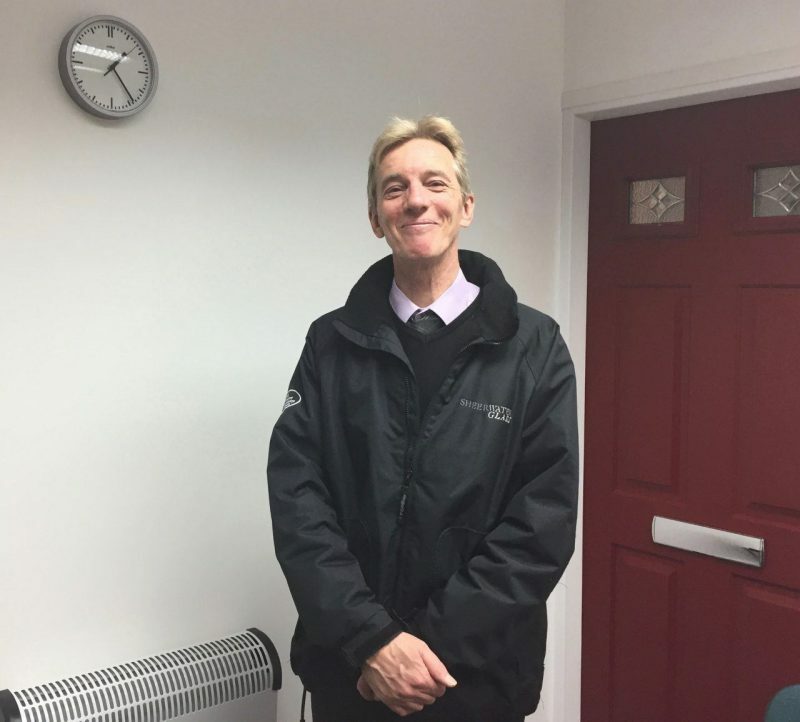 In the second of our ‘Meet the Team’ Q & A’s, we talk to our sales representative Simon about his job at Sheerwater Glass. 1. How long have you worked for Sheerwater Glass Simon? I’ve been with Sheerwater since Feb 2015 – two years now – not quite as long as Rick! 2. Can you tell us what your job involves? My job is to know our products inside out and look after our customers! I recommend our glass products and services to our customers and work with them to find what they want, offering our solutions and generally ensuring a smooth sales process. I deal with existing customers who return to us for their home improvements, as well as new leads and referral work that comes in on a regular basis. 3. What’s the first thing you do when you get to the office? The first thing I do is give our Admin Manager Judith an order to look at. Then I’ll make a coffee! 4. Can you tell us what a typical day or week consists of for you? I fire up my computer first thing from home and respond to the emails we’ve received overnight. I think a lot of our customers browse our website in the evening as it fits in around work and family life. I’ll chase up the enquiries we’ve had in by contacting the customers. Then I’ll reach out to any customers we haven’t heard from to see if there’s any more information we can provide them with. After this, I’ll usually make my way into the office or head out to customer appointments. I revisit a lot of our clients after their work is completed to take photos and ensure they’re happy with the results. You’ll find me in a suit 7 days a week as I’m always working and the nature of my job requires me to be flexible. I visit a minimum of 14-20 customers a week. 5. So what would you say are important qualities to have as a sales representative at Sheerwater Glass? The ability to establish a rapport with our customers is really important; customers should feel at ease. A friendly face always helps and being a good listener helps me to provide the customer with the right information when choosing their windows, doors and conservatories. No one day is the same which keeps things interesting! I enjoy meeting new people and striving to deliver a quality service to the company, along with my colleagues.